A stunning retrospective of noted celebrity and rock photographer Guy Webster’s work in 1960s Los Angeles. Visually striking and emotionally evocative, this unique volume includes both iconic and never-before-seen images as well as stories from Webster himself and the celebrities he worked with, including Brian Wilson, Michelle Phillips, and Ray Manzarek, among many others. “There was no handbook to navigating the sixties,” admits Guy Webster. It was a time of newfound creative freedom during which any guidebook, had there been one, would have quickly been discarded. From this experiential culture emerged icons who continue to inspire us to this day. Los Angeles was a polestar for the music and entertainment that gave expression to this remarkable time, and Guy Webster, Nikon in hand, bore witness to it all. Webster, an L.A. native, saw his childhood stomping grounds become the epicenter of a youthquake that not only shook up the music scene but also fashion, visual arts, and popular culture. With his controversial cover shot on the Mamas and the Papas’ first album, Webster firmly established his reputation as a photographer capable not only of capturing the emotional nuance of the era, but also of helping to define it. 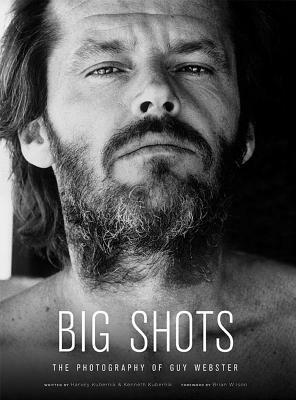 Musicians and actors—such as Simon & Garfunkel, Jack Nicholson, Bob Dylan, Jane Fonda, Jim Morrison, Natalie Wood, Janis Joplin, Raquel Welch, Jimi Hendrix, and Mick Jagger—are among the hundreds of personalities Webster shot before they were legends. In this definitive volume, their early creative worlds and intimate stories come alive on the page. Brian Wilson is one of popular music’s most revered figures. As the creative force behind the Beach Boys, he co-wrote and produced nine consecutive gold albums featuring some of the most cherished and innovative recordings in rock history. In recent years, he has taken center stage in a series of critically acclaimed live performances, including the sold-out Brian Wilson Presents SMiLE and Pet Sounds tours. He recently announced that he was returning to Capitol Music Group, where he is currently recording and self-producing his 11th solo studio album at Hollywood’s Ocean Way Studios.